The Purple Fiddle, Mountain Made, & Tip Top make Thomas, WV a place of great rest and refreshment in between West Virginia’s beautiful opportunity for hiking in the mountains. 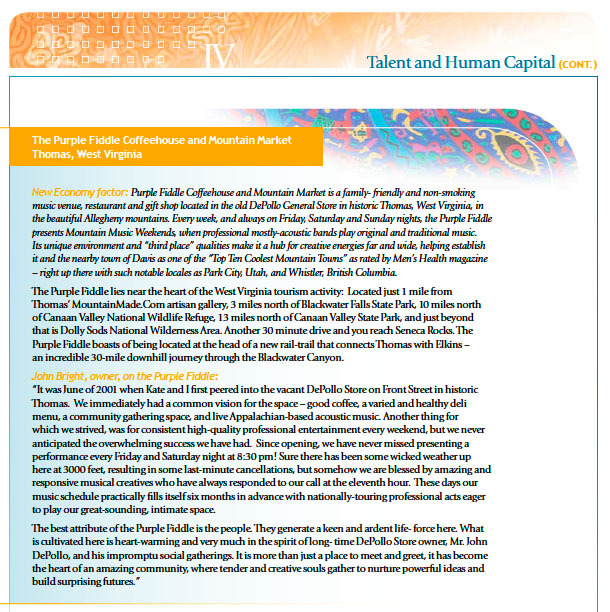 Create West Virginia published a great publication a few years ago that pursued the talent and human capital of West Virginia. 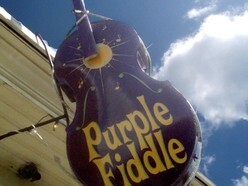 One article featured the Purple Fiddle, as you may read below. The Washington Post also recently highlighted Thomas, WV in an article urging urbanites to seek out the galleries, walk the steps along a forgotten railway, and be apart of the night life budding in the mountains. I can’t wait to visit this little jewel of a town in the lovely mountains again soon. Next postArt Event ~ in St. Clairsville soon!